While most people come to Amelia Island to enjoy its laid-back beach town vibe, it’s nice to enjoy some urban energy, too. Jacksonville is a sprawling metropolis, the largest by area in the country, and the most populated city in Florida – the perfect spot to take a day trip while on holiday at Amelia Island vacation rentals. Jacksonville makes for a splendid day trip for visitors who prefer a quiet vacation getaway with the option to enjoy the big city. 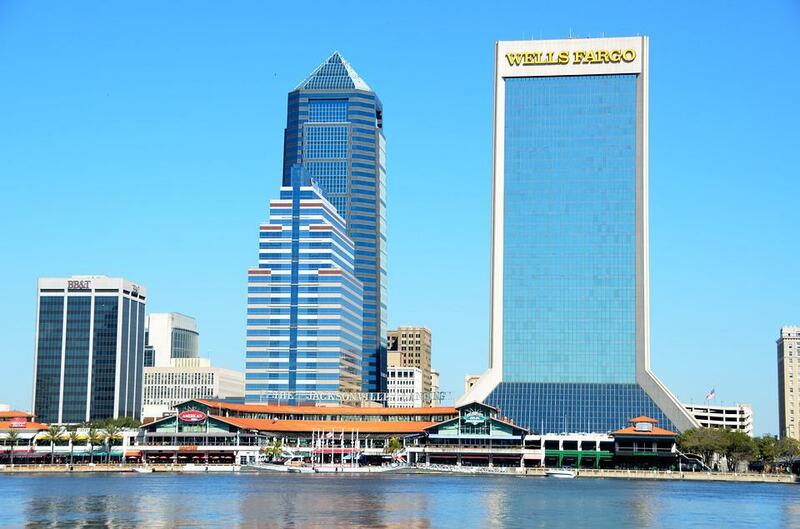 Jacksonville is filled to the brim with fantastic things to do and places to see. Visit museums, art markets, a “wine and paint” studio, and fantastic restaurants – all a short drive from Amelia Island. How Long is the Drive to Jacksonville? The drive from Amelia Island to Jacksonville is about 45 minutes, though when the i-95 is congested that time could increase significantly. Try to enter or leave the city before the evening rush hour begins at around 5 p.m. – or well after. Instead of hurrying back, grab a bite at the Black Sheep Restaurant (1534 Oak St.), a farm-to-table joint specializing in Southern cuisine. You can expect smooth sailing back to Amelia Island after 8 p.m.
Thankfully, a thruway was created to spread the traffic. Depending on where you are at in the city, you can hop on 295 to pass over most of the city and meet the I-95 outside the downtown core. If you are headed to the outskirts of Jacksonville on the east of west ends of the city, you should expect to tack on an additional 15-30 minutes to the drive. There are three main routes from Amelia Island to Jacksonville, and the route you take may depend on where you’re going in the city. The most common route from Amelia Island to Jacksonville is to take the FL-200 to I-95 S, and take that down into the city center. Another route is to take US-17 S into the city. It is longer, but typically less congested. If you’re keen for a more scenic drive, take a ride on the A1A that flanks the Atlantic Ocean. You will drive through the Timucuan Ecological and Historic Preserve, home to thousands of acres of protected marshland. This trip is not recommended late at night due to poor visibility, and may involve a ferry crossing if you continue further south across the St. John’s River to Mayport Village and the Jacksonville Beaches. Alternatively, you can take 105/Heckscher Drive going west to meet back up with I-95 S to head to downtown Jacksonville. While beautiful, this scenic route comes at a cost. Expect to double the travel time due to slow zones and a single lane for the majority of the drive. There are lots of things to do in Jacksonville, so it will require a whole day and a little bit of planning. Have your must-see attractions selected, as it can often take a long time to hit different points of the city if you haven’t prioritized. Determine what’s at the top of your “to-do” list and head there first, keeping in mind the distance to other places to see. Some of the top attractions in Jacksonville include the Catty Shack Ranch Wildlife Sanctuary, the Cummer Museum of Art and Gardens, The Florida Theatre, the Riverside/Avondale Historic District, Atlantic Beach and many others. Be sure to review parking signage, as the rules in the big city are much stricter than when trying to park on the island. Avoid rush hour by planning an evening activity or dinner at one of the many fine local restaurants. Many of guests stay at our beautiful Amelia Island vacation rentals and take a day trip to the city of Jacksonville. There, you can enjoy all the activities and energy of Jacksonville without spending your whole vacation in the city. Contact us at 800-741-4011 for information about a vacation getaway on quaint Amelia Island, a stone’s throw away from bustling Jacksonville. Spend time on the beach, visit the vibrant city, and come home at night to a cozy vacation rental.